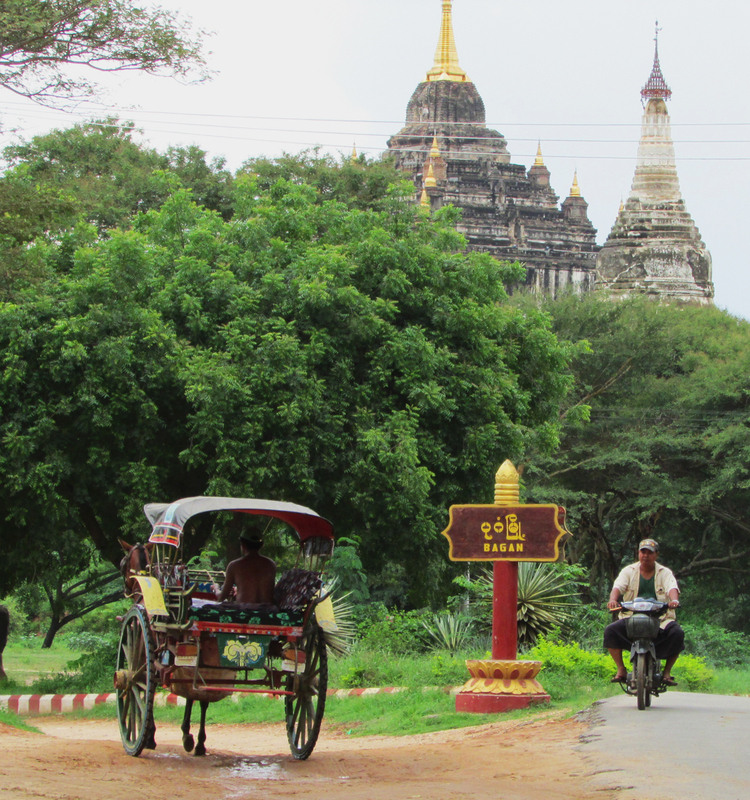 Four days of relaxation, lots of laughing, bicycling through ancient pagodas, spurts of torrential rain and thousands of stupas. 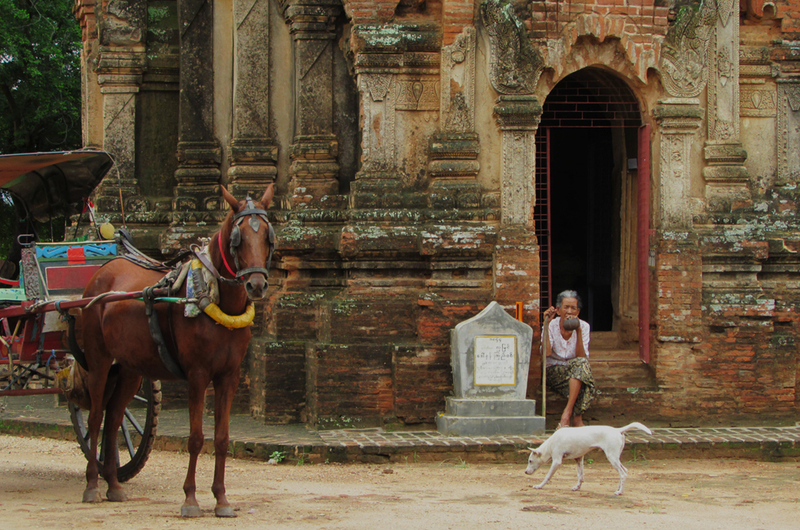 I just returned from a fantastic trip to the ancient city of Bagan, Myanmar. 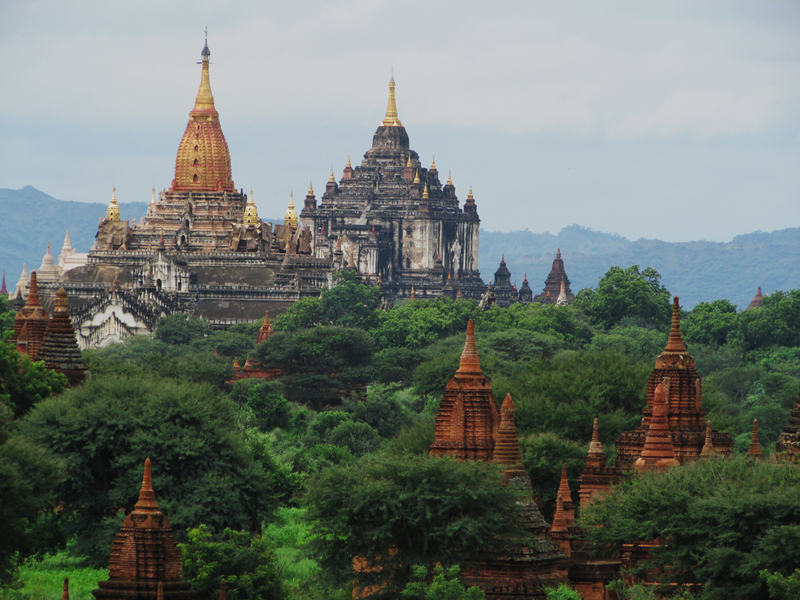 Founded in the 9th century, Bagan has gone through many metamorphoses leaving it full of rich architecture and stunning panoramas. 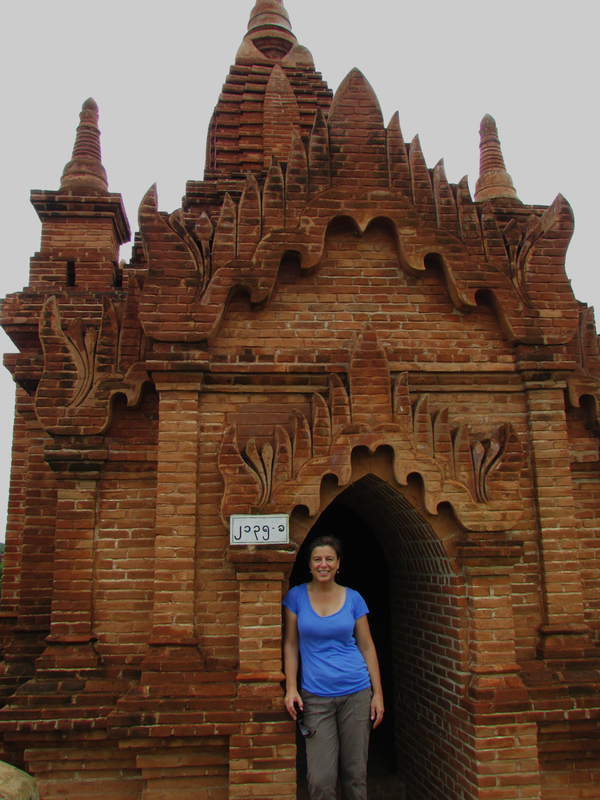 As we pedaled out of the city of Nyaung U, we entered into a mystical world of primordial brick structures that numbered over 2000. Originally perhaps a cairn, the stupa soon acquired cosmic symbolism of “Buddhahood.” Many temples also were built to honor a notable person, or even bring lasting remembrance to an important family. There are also much larger multi-storied buildings that were/are places of worship that include frescoed corridors and Buddhist shrines. The larger Bagan temples included a variety of other buildings such as living quarters for monks and ordination and assembly halls. These temples have massively built square or oblong bases with outer terraces representing Mount Meru, the symbolic home of the gods, and surrounded by a thick wall to separate its realm of the sacred from the outside world. But let me back up. The trip began on an early morning in the rain. 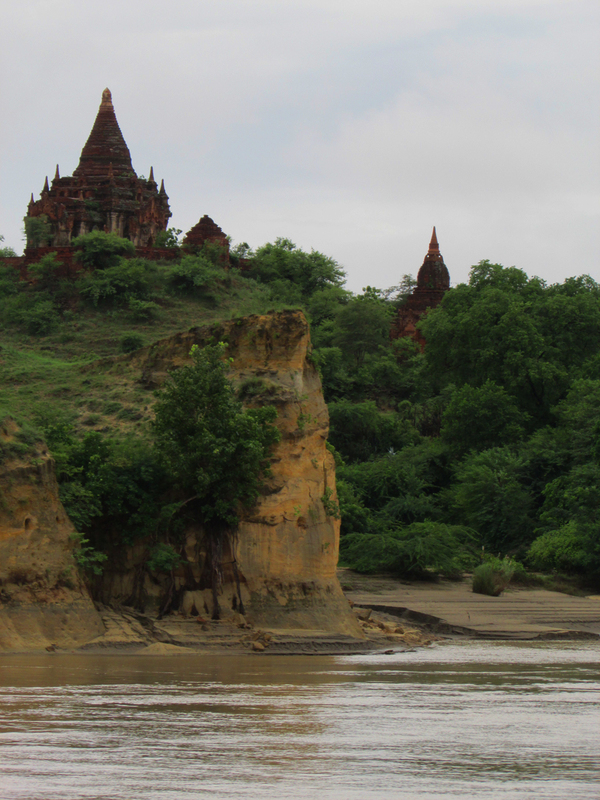 We launched our trip with a leisurely trip down the Irrawaddy river on a three story boat. Our ten hour trip was relaxing with intermittent rain and sun, a warm breeze and moments of interest. Apologies regarding some of the photos. It was such a misty and humid weekend that my camera lens kept fogging up and therefore some of the photos are bit unclear. Next morning we rented bicycles and pedaled our way into a quiet and contemplative valley. The freedom that the bikes offered was great. We would dart off the main road and head down trails whenever something caught our eye. 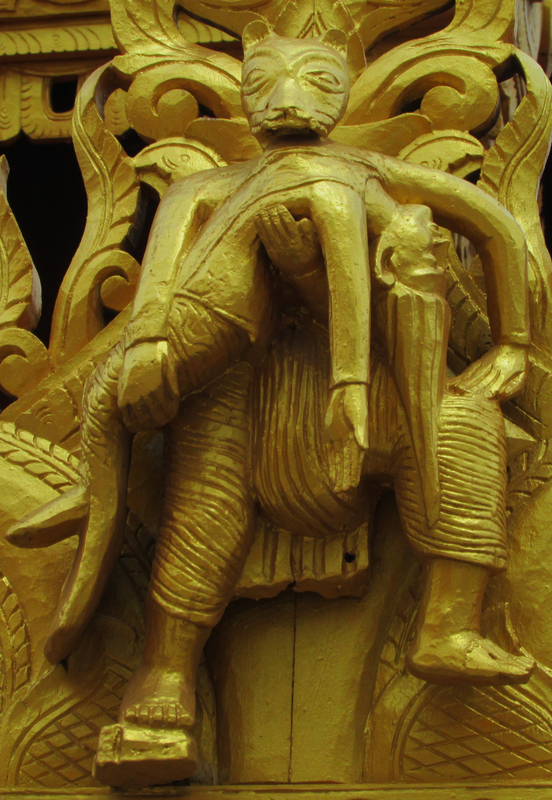 We also found my two favorite Buddha images so far. 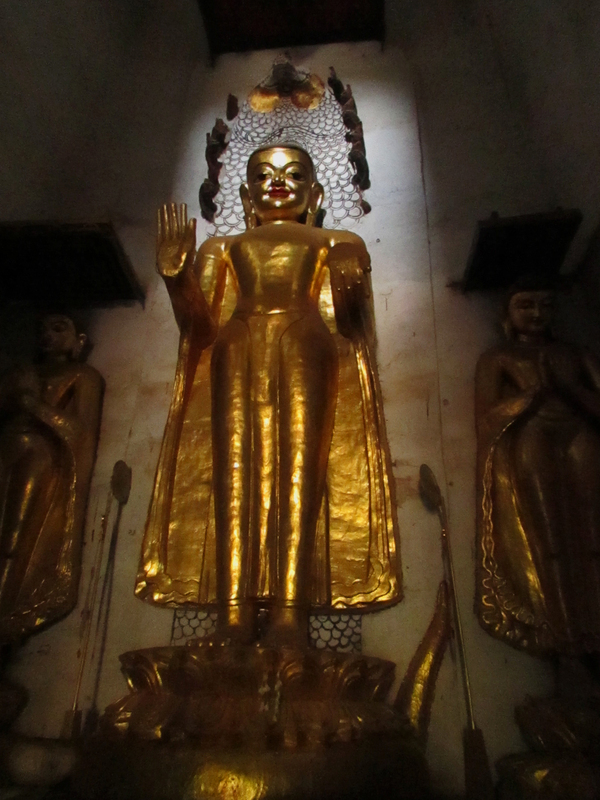 The gilded one was inside a 2000 year old pagoda that still had one of the original carved lintels in one of the archways. 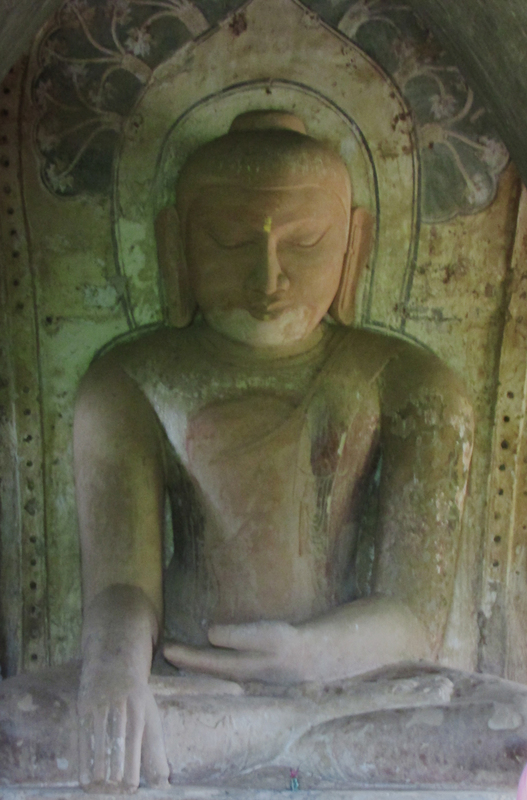 The non-adorned Buddha below, I just loved as it felt more ‘real,’ more accessible. The next day, my friend went off to play a round of golf, so I hoped on a bike and went out to wander. The sun was shining a bit more and it got hot fast. 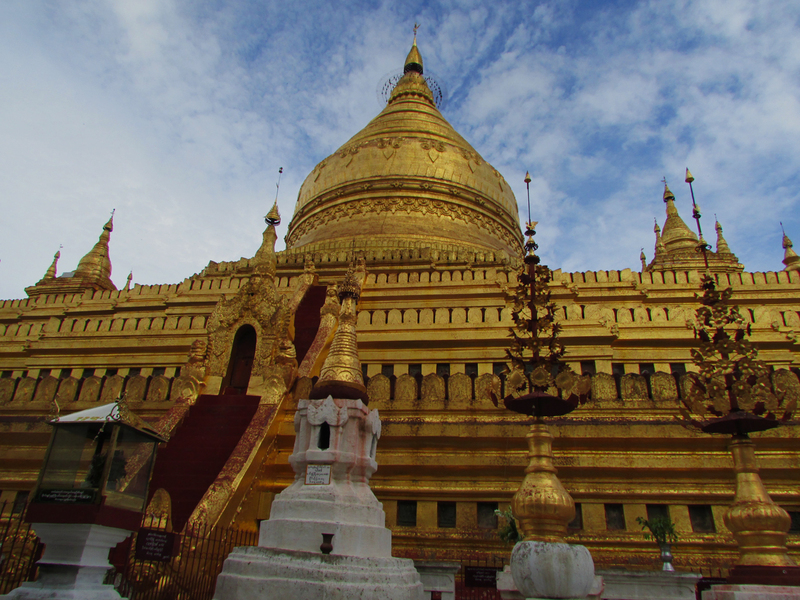 My first stop was a the Shwezigon Pagoda – massive and gilded. Reminded me of the Grand Palace in Bangkok. The small detailed artwork caught my eye the most. 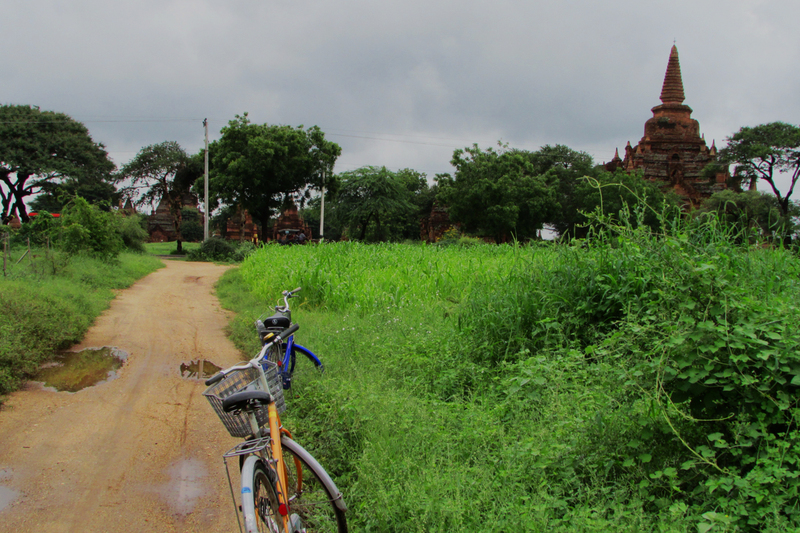 Then I pedaled through more pagodas, zedis and stupas and came across this wonderful scene. Don’t you just love her ashtray? We biked through puddles, dashed out of the pouring rain into small cafes for ice-cream and lassi’s, ate fantastic Tibetan, Indian and Italian food and generally felt relaxed and happy. I highly suggest everyone visit Bagan! Seriously amazing photos! I HAVE to get to Asia asap. I’m getting some serious wanderlust to visit there lately! Thanks for sharing and adding to that! Amazing images!! Love reading about your exotic adventures! Miss you!! Xo. Beautiful! 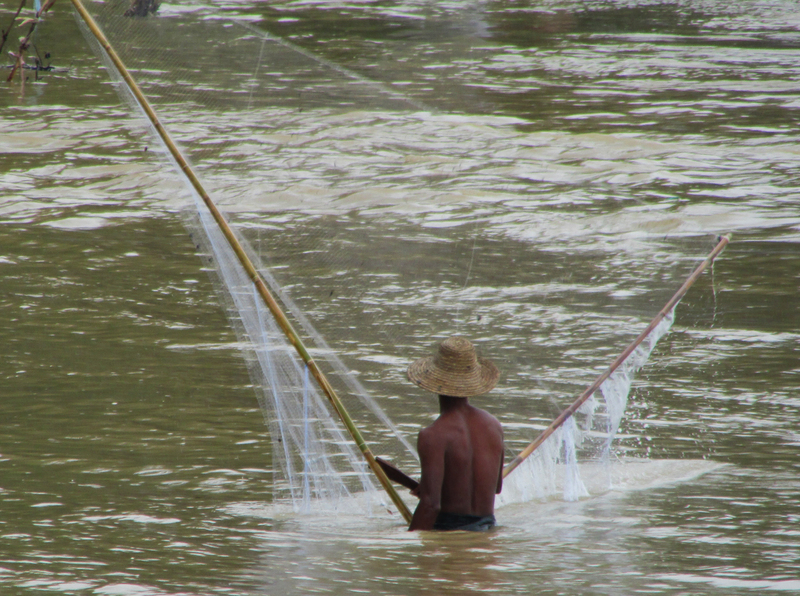 You should link up with NatGeo, really…your photos are so real, and natural! You two should come for a visit!!! I love the photos in this post! They make me want to book a trip right now! 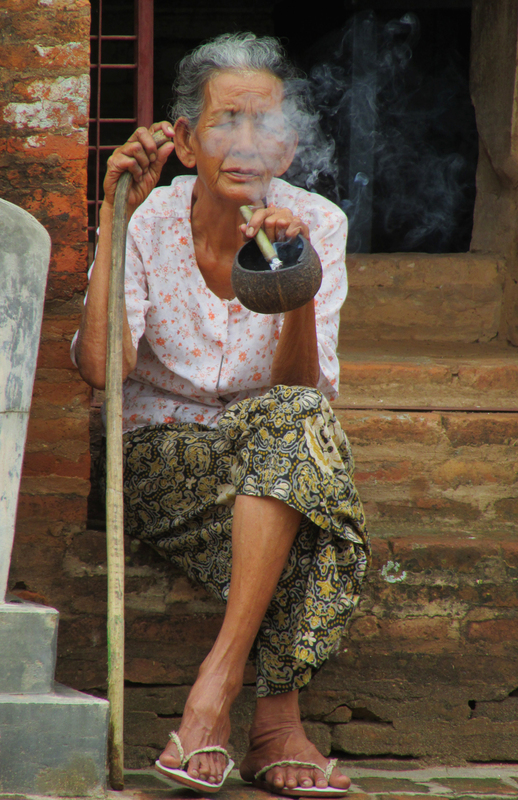 Myanmar is a fabulous place. I definitely could go back. In the near future, I’ll be writing a follow-up post with details on where I stayed, transportation etc. So if this is a ‘someday’ trip for you, subscribe and when I get the post written, you’ll be alerted. Have a great day!